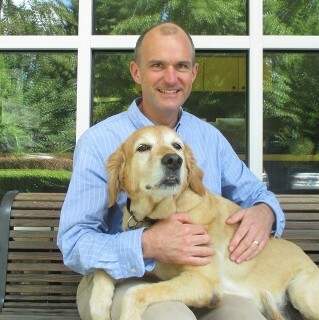 Dr. Nathan graduated from the University of Missouri College of Veterinary Medicine in 1995 and opened Lakemont Village Veterinary Hospital several years later in May of 1999. He enjoys his work and the wide range of problem solving that general practice brings. Outside of his profession, Nathan has many hobbies including bicycling, running, kayaking, and playing several musical instruments (violin, mandolin, and banjo). He lives in Seattle near Woodland Park with his wife Jen, three children, three cats, and their Golden Retriever. 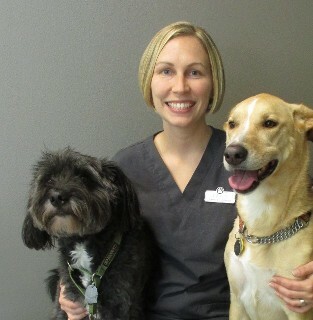 Dr. Holly graduated from Oregon State University College of Veterinary Medicine in 2015. 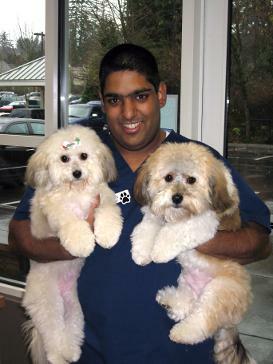 She worked as a veterinary assistant at Lakemont Village Veterinary Hospital from 2004-2008 and jumped at the opportunity to return as a veterinarian. Outside of the clinic Dr. Holly enjoys exploring the outdoors, running and knitting. She lives in Bellevue with her husband Danny and their dog Hula. Carrie joined the Lakemont team after graduating from Ohio State University and moving to Seattle in 2000. She is a member of the Veterinary Hospital Manager's Association and The International Association of Animal Hospice and Palliative Care. 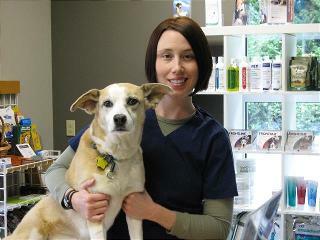 Carrie is nationally certified in canine massage with a focus in rehabilitation. She completed education with Northwest School of Animal Massage and holds her Small Animal Massage Practitioner license in the state of Washington. Her other interests include photography, jewelry design, travel, reading, film, cycling and hiking. Jonathan joined the staff at Lakemont in August of 2007. He considers the Lakemont area home. His first experience working with animals and the public came when he was fourteen, volunteering at the Pacific Science Center with ferrets and rats. Jonathan loves to travel, play basketball, badminton and visit with family and friends. He was born in Calcutta, India and has lived in Arizona, Colorado and Washington. Carly joined the practice in November of 2010. She graduated from the University of Washington in 2005 with a degree in Zoology, and is currently studying to become a Licensed Veterinary Technician. Carly lives in Carnation with her husband, two dogs, two cats, and one bird. In her spare time she enjoys hiking, taking her dogs to Marymoor, going to the movies and traveling. Amy joined the Lakemont staff in July of 2017. She graduated from the University of Washington Tacoma with a BA in American Studies and is currently working towards completing prerequisites for application to veterinary school. She enjoys riding her horse Max, hiking with her dog Gretchen, as well as hot yoga, reading and baking anything sweet. Kelly graduated from PIMA Medical Institute in April 2010 with a degree in Veterinary Technology. She currently resides in Renton with her husband, 2 children, dogs and cat. When Kelly has spare time she enjoys baking, catching a movie, discovering a new restaurant and spending time with her family. Christine joined the Lakemont staff in December 2015. She graduated from Cal State Hayward, California in 2013 with a B.S. degree in Hospitality and Tourism. She has a previous background in law enforcement, firefighting, and has volunteered at The Seattle Humane Society in their dog program. She and her husband live in Bothell with their dog. In her spare time she enjoys hiking, backpacking, snowshoeing during the winter and adventuring with her dog in the great outdoors.